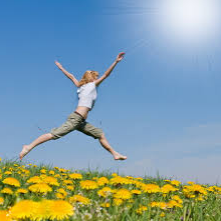 I am deciding to be joy-full today, filled with gratitude for the richness in my life. I look within to find happiness and peace. I let my joy rise to the surface that it may be contagious. 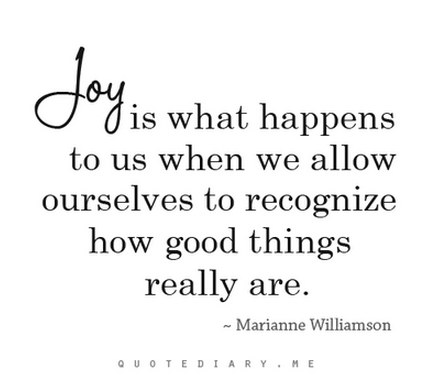 I know that finding joy is not something that happens because of certain circumstances but rather because I am brave enough to choose it regardless of the situation. I’ve been readling your lovely light-filled site for quite some time. Thank you for all you do to bring beauty and joy to the present moment. I hope it’s ok to share this here. I’ve been pouring my heart and soul into a homestudy playshop called JOYFUeL With today’s topic, I thought it was appropriate, as the world needs more JOY! You can see more info and video here http://www.beckyjaine.com/joyfuel . I hope if it speaks to you, you will join us for this exploration that begins on dec.1st 🙂 I know you’d bring a lot of goodness to our party. No deadlines or requirements, just JOY delivered to your inbox. Blessings and gratitude to you! Making a choice is exactly how we shift our perception of every situation! Thanks for the reminder and may your day be filled with joy.